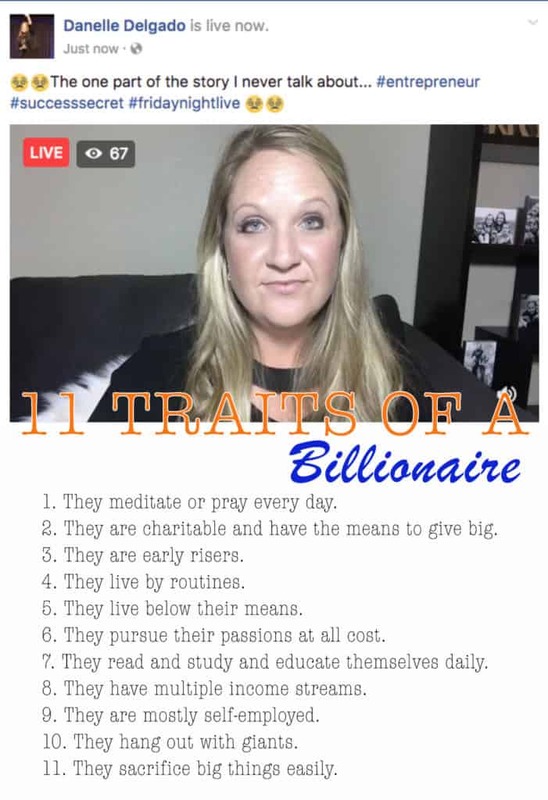 I am listening to my Mentor, Danelle Delgado as she shares with us the 11 Traits that Billionaire's share. Every Friday night Danelle goes live on her #FridayNightLive Facebook page. While many people are out socializing, drinking and partying, Danelle speaks to entrepreneurs and share her wisdom. I would highly recommend you check her out every Friday. Here is a screenshot from a recent Facebook live that I was listening to when I felt inspired to write a quick blog post so that I can help other entrepreneurs break through any walls or obstacles.